Chicago’s criminal ties are fascinating. Illinois has more than their fair share of imprisoned politicians, many of whom originate from Chicago. Additionally, area history is rich with stories about organized crime. Al Capone and John Dillinger both hail from Chicago – two well known names from a long list. Regardless of which side of the law they’re on, Chicagoans have a certain way of taking care of business. If someone needs something done, locals inevitably “gotta guy”. This flavor, this way of life, even extends to the animal kingdom. One of my most memorable stories has become known as “The War Between The Crowvanos and Squirrelionis”. Stephen and I were in our front yard watching a squirrel run across the cul-de-sac. Out of nowhere, a crow swooped down and grabbed him by the tail. As the crow tried to fly off, the furry little guy kicked and squirmed himself free. 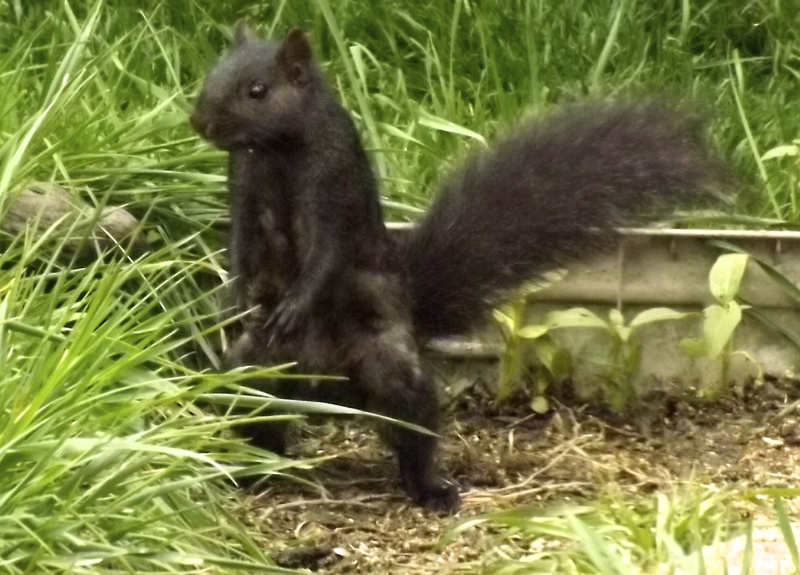 Back on the ground, the squirrel cursed the black winged devil, begging for another altercation. The crow responded with two more attacks. Between the bird’s own fatigue and the squirrel’s resistance, the crow dropped the bushy tailed beast sooner each time. Victorious, the squirrel finally watched the crow fly away empty clawed. As witnesses to this violent exchange, we knew we were in for life. Seeing the actions the animals took against each other made us wary of what they might do to us. We’ve treated our four legged and feathered friends like family every since, offering only the best quality food to fill our 60 lb. feeder. No sweat though, we buy the seed at a good price ’cause we gotta guy.